GET YOUR HEAD IN THE GAME. Eau Claire native Dan Forke, above, masterminded an entire video game to release his latest Wealthy Relative record called Not Heaven. The list of Dan Forke’s artistic endeavors is, to put it simply … big. For one facet, the Eau Claire native has been steadily making thoughtful, trippy, and forward-thinking hip hop music as Wealthy Relative for the better part of a decade, with an impressive slate of albums, EPs, and one-off tracks to show for it. “I just thought it sounded cool, and now it’s therapy” he rapped on his 2016 single “Sage Bundle.” His music has consistently been tactfully crafted and soaked in existentialist bits of wisdom. 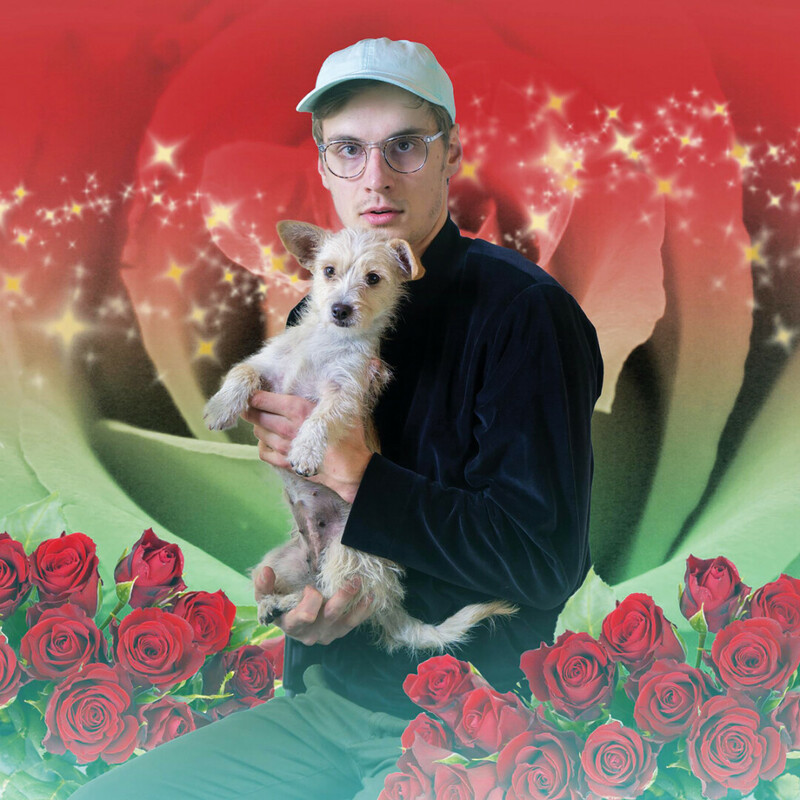 But in between releases, Forke has quickly established his one-of-a-kind vision as a visual artist in his own right. 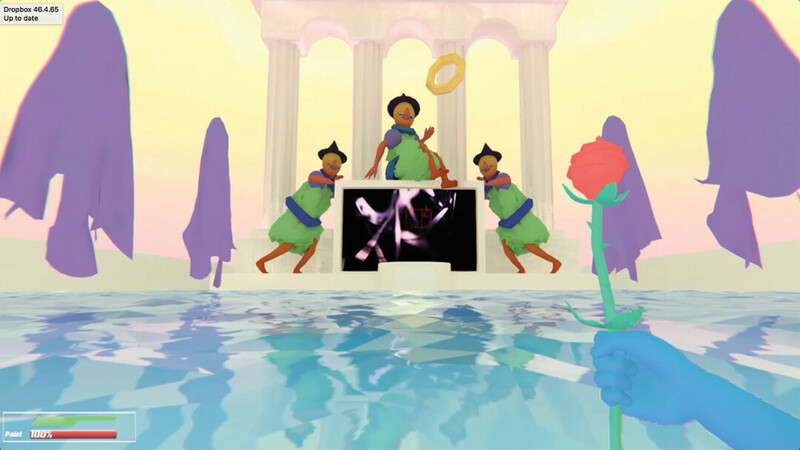 In recent years, he’s been digging heavily into 3D animation, teaching himself to create virtual landscapes, eccentric characters, and abstract moving visuals. And now, his next project brings it all together in a totally game-changing way. On Oct. 25, Forke is releasing six Wealthy Relative songs, each with their own original music video, but they all live in an actual playable video game called Not Heaven, created from scratch to give listeners and viewers a stunning visual environment to experience the songs and videos in. 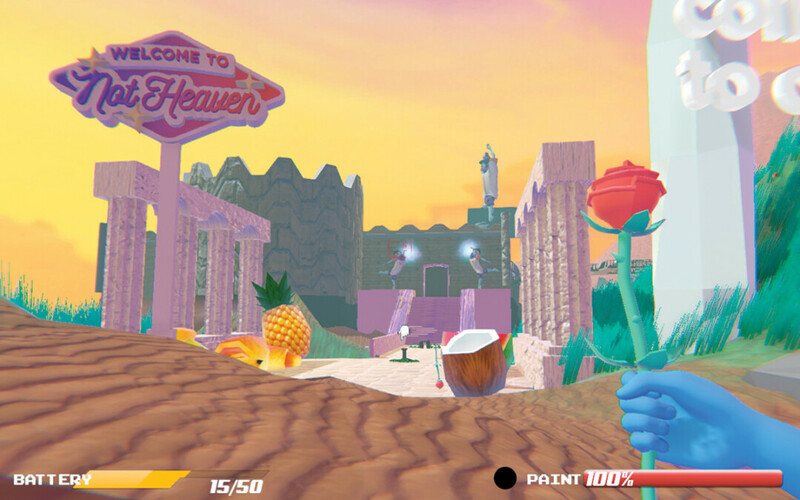 The world of Not Heaven was created over the course of about a year by Max Kollman – who coded and engineered the game – and Forke himself – who directed the art vision and built the game’s 3D assets. It really is an incredible chunk of work, pulling together all of Forke’s creative talents into one immersive digital platform, 100% created from scratch. And as far as this writer is aware, Not Heaven might be the only hip hop record to ever be released via video game. The game – which comes via USB stick in custom-designed Gameboy-esque packaging – is a sort of choose-your-own adventure. It’s a whole 3D world. 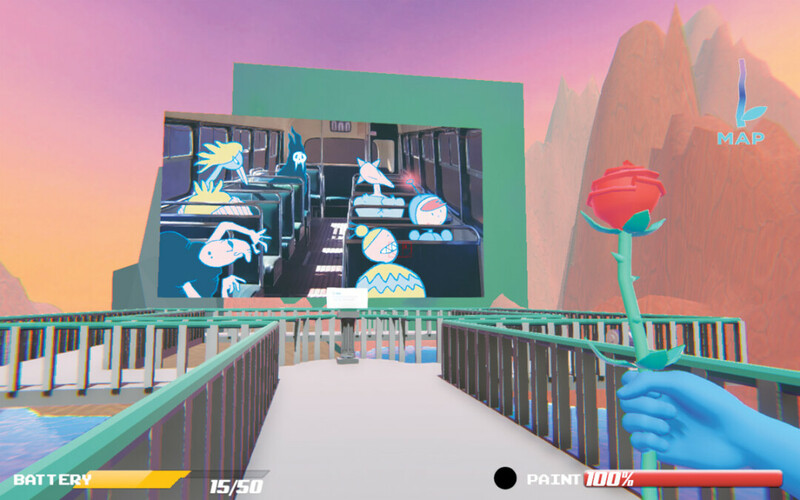 You can explore a canyon, investigating different objects, and you can throw paint on any surface you come across. Eventually, the game leads you up into a temple with six rooms, each of which allows you to play one of the Not Heaven music videos when you walk in. The game is one thing, the videos are another entirely. For six music videos, Forke enlisted help from artist friends Jordan Rosenow, Jake Huffcutt, and Scott Kunkel on three of the songs. The remaining three visuals were done entirely by Forke, whether it’s animation or edited video. Stylistically, all of the videos are wildly different, yet they share a commonality in the virtual world that surrounds them. And all this would be for naught without the songs themselves, six of the finest Wealthy Relative tunes to date. The majority of beat production comes from Forke here too, with a couple of tracks produced by Shrimpnose and Goth Fieri. As a rapper, Wealthy Relative makes big strides with this one, all from a DIY recording booth in his Minneapolis apartment. If there’s a conceptual theme at play in these songs, it’s the idea of acceptance – internally with the self and externally with the world around you. As a being, your environment will never be flawless, but coming to self-satisfaction in imperfect circumstances might be the key to real happiness. The game, then, is a fitting extension of that. What is perhaps the coolest part of Not Heaven, is the fact that all of this was done DIY, completely from scratch – a dream project manifested out of nowhere. For Forke, that makes it all the more genuine, and thereby he can feel extra proud of it. It’s a big statement, coming from the singular vision of a gifted and multi-faceted artist at the top of his game. 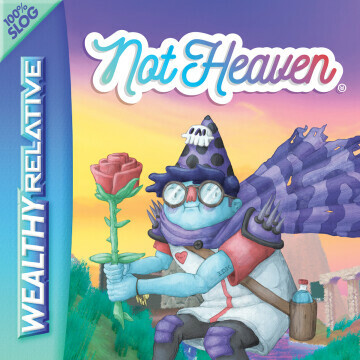 To learn more about Not Heaven and watch the game’s trailer ahead of the release, visit notheaven.com. The game will be available to download for free on Steam and at notheaven.com. You can listen to more Wealthy Relative on Spotify and Bandcamp.